Honorable Mention: Chicago and Seattle. August Intensive attended by Josue Kisile, Takafumi Mashiko, Teresa Rischl, Jinil Fleischman, Jennifer Pierce, Dr. Beebe, Gerry Servito, Mi Young Eaton. Curriculum Intensive in January 2019 for more Student Leaders to have exposure. CARP Bay Area UP Retreats! CARP Bay Area held monthly UP retreats to engage members with Principled Education and dig deeper into the concepts touched on in meetings. 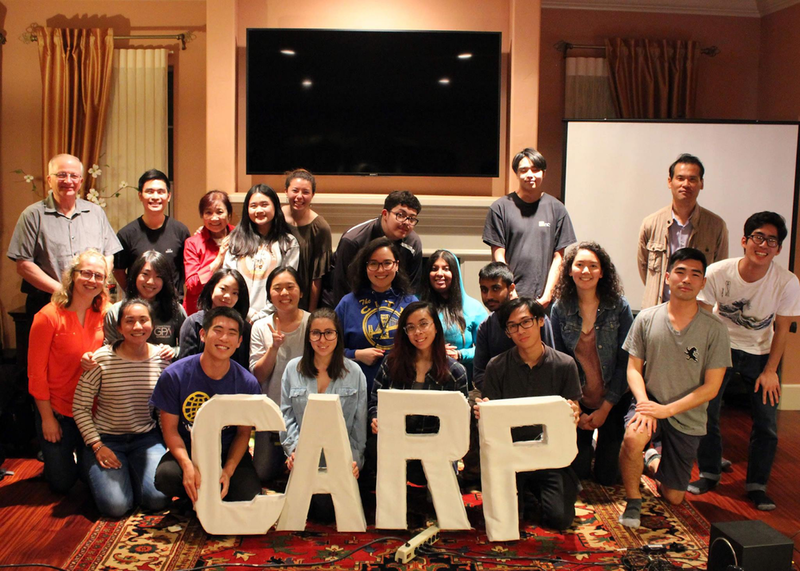 CARP Bay Area hosted Bento Leal on campus during their CARP Talks several times this year. Bento Leal is a certified relationship skills trainer and gave talks about building and healing relationships to CARP members. 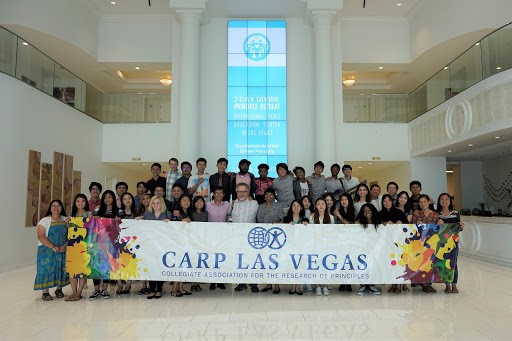 Both Spring and Fall Semester, CARP Las Vegas hosted Campus Talks on its two campuses, College of Southern Nevada and University of Nevada, Las Vegas, on the topic of sexual morality. Guests who are experts in the field were invited to speak on the topics. CARP LV made t-shirts to publicize their event with great success. CARP Las Vegas hosts two opportunities for members to dig deeper with Unification Principles and bond as a family. On October 12, CARP Cypress hosted over 80 students, faculty, and pastors on campus to bridge the relationship between professor and student. Packed with inspiring speeches, presentations, and performances, it was an unforgettable event. Over 100 participants from college to high school level participated in this seven day deep dive into Principle. CARP Dallas had a dream to reach out beyond their campus and inspire other students. They created a new program, “The Wave”, in September for students to gather and experience CARP’s Principles. Activity-based and interactive, the Wave is incredibly successful. On November 15, CARP Grand Rapids hosted guest speaker Ricardo De Sena to talk about his work with the Universal Peace Federation and the ideal of peace. The Midwest chapters held two retreats this year: one in May (pictured above) and one in December (pictured below). They had guest speakers give an in-depth presentation about the Principle and did activities. Inspired by summer’s programs and retreats, CARP Utah President Alicia Kuhlmann and the Utah team planned a retreat for their community in August. Presentations were given by local CARP and HARP leaders. At the beginning of every semester, CARP chapters host a table to recruit new members and share about CARP. 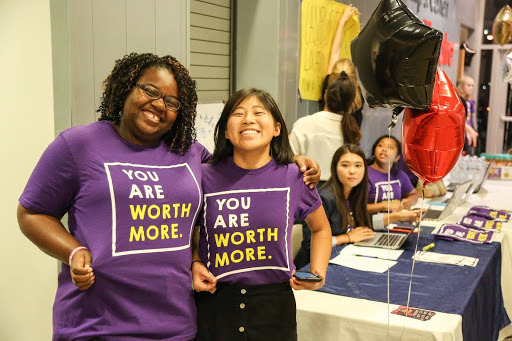 Every week, local chapters hosted meetings on campus and discussed Principle and application. Chapters also hosted longer evening programs (usually monthly or biweekly) to dig deeper and do fun activities. CARP chapters also invested into the relationships with their members by hosting various social gatherings throughout the semester. CARP Chicago hosted Tribe Talks three times a month starting this past Fall Semester. Engaging people of their community and their student peers, they have become very popular. CARP NJIT full time students volunteered their time to help the rally efforts by participating in church outreach weekly, inviting them to the rally. For the event itself, CARP members from across the country came in support and also performed during the program. 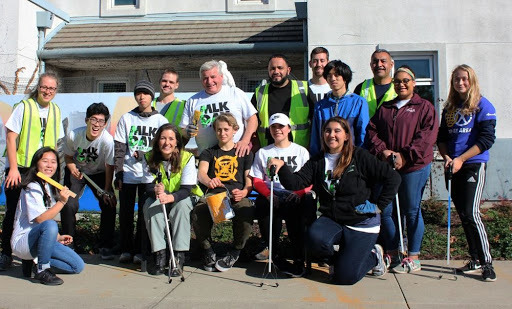 Whether it was working for the Peace Starts With Me rally in November or teaming up locally in Los Angeles to host Revival Starts With Me events, CARP students volunteered for the American Clergy Leadership Conference (ACLC). CARP, also sharing the values of interreligious unity and interdenominational cooperation, is a perfect fit for supporting ACLC’s activities and events. Hosted by YAYAM, the Summit gave an opportunity for CARP staff, Board of Directors, and student leaders to meet and make plans for the upcoming semester. CARP UB volunteered at Unification Campus Ministry’s interfaith forums. Four different faith leaders, Christian, Muslim, Hindu, and Unificationist, gave their faith’s perspective on the topic. A Q&A session was also held afterwards for students to ask questions. Honoring all of our local Presidents and Vice Presidents this year. Honoring the volunteers who help CARP students live a principled life. Welcome to our new Program Coordinator. He previously served as CARP UNLV’s President and has recently graduated from UNLV. We’re very lucky to have him. Read his full introduction here. Starting Fall Semester, we released a brand new logo with standard colors. This logo was adapted from our classic logo and selected because it represents a worldwide youth movement. This year, we transferred from WordPress to SquareSpace. With a brand new look, we’re reflecting the CARP of the modern age. Keep up with CARP activities on the go. We also have a Facebook group to stay in contact with our student leaders.